Daily, many U.S. citizens are applying for a new passport for the first time. Or, others will to renew an expired one, replace a damaged, lost or stolen passport. Regardless of the reason, multiple acceptance facilities across the country will take your documents. Where you go to provide the information is up to you. You will have the choice between a passport office and a passport agency. How soon you need your travel document will lead to the place you go. Passport Office vs Passport Agency will provide in detail the different services both provide. There are many passport offices to take your application. Each varies in location and offer different hours of service. Some also require you to have an appointment before showing up. However, there is one thing in common with all the facilities, the type of services they offer. But before explaining the options, you can go to the post office, county clerk’s office, courthouse, or public library to give the application. The post office has the most extended acceptance hours; therefore, this location gets the most applicants. What are the options available at passport offices? As mention before, all the acceptance facilities offer two types of passport application process. The first is the most favorable of both options. Applicants who are in no rush for a passport select it. It is cheaper for both options but has a longer processing time. The process is known as routine or ordinary processing. When it becomes the choice, the agent verifies the form and supporting documents before accepting the fee. If there are no errors on the application, and all the supporting papers are present, they are packaged along with the price and forward to a processing center. Further verification of the applicant occurs at the center. A new passport gets print once the process is over. The time it takes for the process to complete and the passport mailed to the address on the application is 4 to 8 weeks. It may seem like a long time, but once you give the documents, you have no control of the process time. So, all you can do is wait for the surprise when you open your mail and see your new passport. 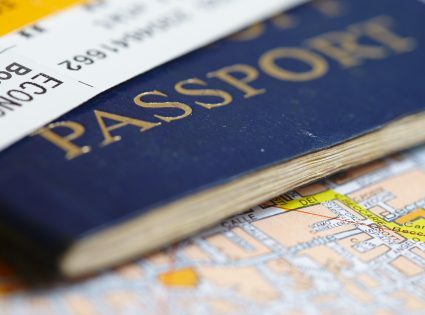 For many applicants who have a trip in less than four weeks but were unaware their passport would expire or have expired must use this choice to get a passport. Expedited process decreases the processing time to half when compared to the average time. But to be able to use this option, you must provide proof your trip date is sooner than four weeks. The trip cannot be sooner than two weeks either. If that is the case, then you must use another approach to get a passport. Providing evidence that you will travel earlier than four weeks is a must and with legit documents. For example, you may give a copy of your trip itinerary. The itinerary will show your name and the trip date. These are valuable data to show proof of your travel. Other acceptable options are flight reservations or hotel reservations. Evidence of your trip is one requirement. The other is to pay a fee for the service. The cost is not inclusive of the application fee. It is separate and only applies to expedite processing. So, you must pay $60.00 along with the price of the passport. If the application is for a minor, add the extra cost, as well as for an adult passport. Passport agencies are less in existence that passport offices. One reason for a lower count on agencies is that fewer applicants use the service. Also, passport agencies offer the services passport offices do not. Agencies provide shorting processing times. With an agency you can get a passport on the same day you submit your application. You can also get a passport within two weeks. The processing times at the agencies are shorter than what is available at the post offices. For this reason, you will pay more for a passport. Passport agencies are branch into two: regional passport agency and private expediting company. Both provide the same day service. However, expediting companies have services for up to two weeks. Due to the multiple options at the expediting company, the cost of the service will vary. The regional agencies offer one service, same day. So, you will pay one price when you go to an agency. There are 26 regional passport agencies scattered across the United States. A couple of states like California and Texas have three agencies while most of the others have one except New York with two. Residents of States without an agency can go to the nearest one and apply for a passport. All the agencies are in Federal Buildings, so you will go through security and metal detectors before getting to the meeting. A passport agency requires an applicant to have an appointment to apply. To get the appointment, call the National Passport Information Center at 1-877-487-2778, and you will get a date and time assigned to you. At your meeting, you must provide your form, supporting documents, proof of travel, and pay the price. Upon approval, you will have your new passport. Unlike the regional passport agency, an appointment is not necessary to give your application. You can submit the papers in person if you choose to or mail them to the office. If you send them in, you will be responsible for shipping and delivery. The expeditor does all the work after receiving the papers. The papers are packaged and shipped immediately by express to a processing facility. Once the new passport is available, it is sent back by express mailing to the expeditor who in turn forwards it to you, the applicant. It can take anywhere from 24 to 48 hours for you to have it in your hand. 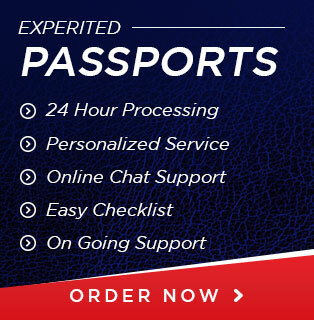 Apart from the 24 to 48 hours service, expeditors also offer different processing times to get a passport. The times may range from 3-5 business days and up to 10-14 business days. You have a choice to select the processing time according to when you will travel. You will also have more private expediting companies to choose from than regional agencies. Both options will get you a passport if you provide all the requirements and pay the cost. However, the processing times for both options vary. So, there are advantages of going to a post office to submit your papers. The first is it will be the cheapest to get a passport. Another is you will provide the fewest documents when you choose standard processing. On the other hand, it will take the longest time to get a passport. Regardless of the lengthy time, most people who select it are not in a rush. Passport agencies are mainly used to get a passport in a short time. It works for anyone with family emergencies or business trips that must travel sooner than two weeks. However, it is the most expensive way to get a passport. Regardless of the reasons, if the proper documents and pat the price, you can have a passport in a day or less than two weeks. With the proper documents and money, you can use either option to get a passport. However, without proof of travel sooner than four weeks, applicants cannot use passport agencies to get a passport. Similarly, going to a post office and get a passport in a day is not an option. So, both have their advantages and disadvantages to get a passport. The choice you select to take your application will result in how much you pay and when you get the document.